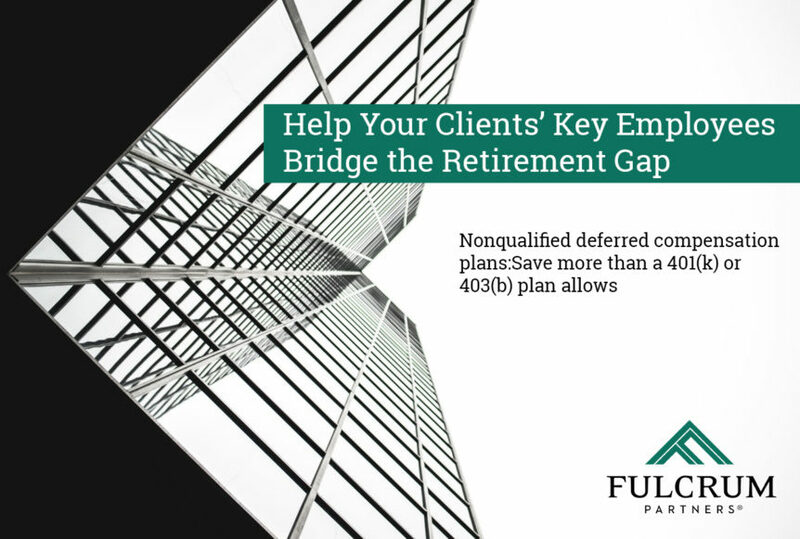 A nonqualified deferred compensation plan (NQDC) allows employees to save above and beyond the limits of a 401(k) or 403(b) plan. Plus, employees may be able to take advantage of tax benefits not offered with other savings options. Unlike a deferred comp plan, a 401(k) plan, 403(b) plan and Individual Retirement Accounts (IRAs) have limits on how much the employee can save each year. Additionally, 401(k) and 403(b) plans are subject to nondiscrimination testing that can limit the amount of employee and employer contributions to the plan. $125,000 of wages earned in the preceding year classifies an employee as highly compensated. Various statutory or testing limits with 401(k) or 403(b) plans may limit deferrals (1.25%/2.0% nondiscrimination limit). $19,000 maximum deferral ($25,000 if age 50 or older). Total amount of organization and employee contributions limited to $56,000. $280,000 maximum eligible compensation limit. $6,000 maximum contribution ($7,000 if age 50 or older). Employees with modified adjusted gross income above certain amounts (depending on filing status) cannot deduct contributions to an IRA account if participating in a qualified retirement plan (IRC Sec. 408). In our report, “Help Your Clients’ Key Employees Bridge the Retirement Gap,” we share some of the ways deferred compensation plans can help boost the retirement savings of key employees and close the gap between the limits for different retirement plans and retirement goals.